Burt’s Bees Gift Sets as Low as $4.24 Shipped – Stocking Stuffers! Burts Bees Organic Cotton PJs $5 (reg up to $39.99) + FREE Shipping! 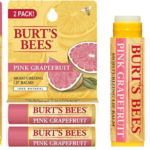 Burt’s Bees Multi-Pack Sets FREE After Macy’s Money + FREE Shipping!